A few days ago it was rumored that a remake of Crash Team Racing could be announced at the 2018 Game Awards. 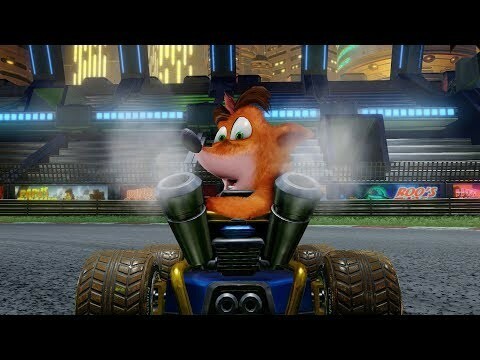 For those who grew up with the original Crash Team Racing and are fans of the original Crash Team Racing, you'll love Crash Team Racing Nitro-Fueled was officially announced. The game is essentially a remaster of the original Crash Team Racing. So if you've ever played the game before, it's more or less the same except that it's been updated with modern graphics for modern consoles, which you can see in the trailer above. Activision claims that they have built the game from scratch, so it's more than just putting new graphics on it. , 2019. The good news is that the game does not appear to be exclusive to Sony's PlayStation platform and will be released for the PS4 Xbox One and the Nintendo Switch, which is priced at $ 40. Filed in Gaming . Learn more about Crash Bandicoot, Nintendo Switch, PS4 and Xbox One.